We can't wait for our next adventure at Camp Gan Israel 2019, thanks for stopping by. Many a child has been known to wait all year to come back to Gan Israel! 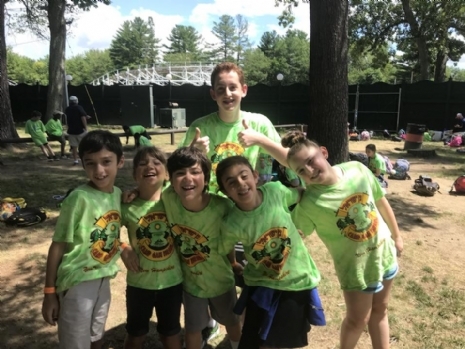 Our campers enjoy a wide range of exciting activities and field trips in a warm, safe and vivacious atmosphere that exposes the beauty of our Jewish heritage and provides every child with a wonderful and fulfilling camp experience. Our Mini Gan Izzy Program is continuing for Summer 2019! Specialized trips and activities to best suit our littlest campers. 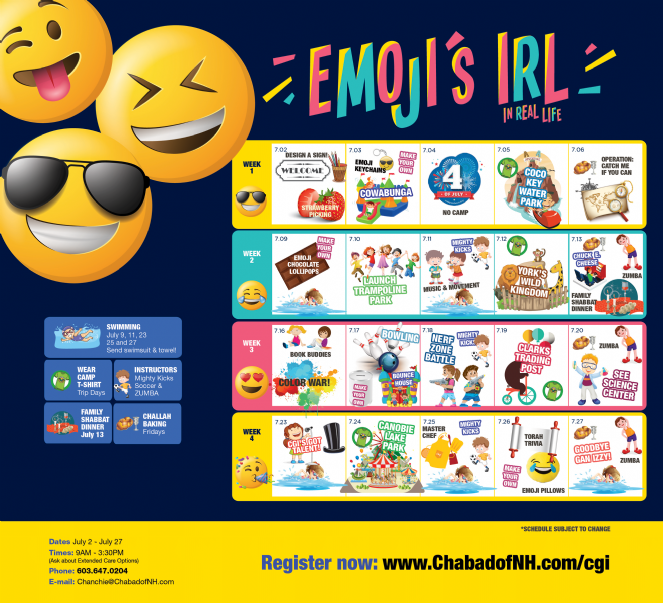 Some of the fun includes age appropriate trips every week, Jewish stories and lessons integrated into our daily schedule, special "Mini Shabbat Experience' every Friday, where every child goes home with a tasty self-made Challah, and so much more! Last summer's theme was Emojis IRL (in real life.) Check back in the spring for this coming summer's calendar of highlights.